Wings are quintessential half-time finger food. No wonder! Wings are economical, easy to make appetizers that everyone enjoys. Find a recipe in this collection of our best wing recipes from Food and Drink Experts. When a recipe calls for soy sauce, be sure to use a gluten-free product. Same goes for hot sauce. We use Frank's Red Hot Original sauce in our wing recipes. A fast, easy and out-of-the-ordinary wing recipe from John Mitzewich, Expert to American Food. The sweet and spicy no-cook sauce is delicious and as John says, "is addictive." Here's an easy buffalo wing recipe from Derrick Riches, Expert to Barbecues and Grilling. If you avoid high fructose corn syrup for health reasons, use a cola product like Jones Cola- it's made with sugar (sucrose). Also, be sure to use gluten-free soy sauce in this recipe. For smoky, grilled flavor try this wing recipe from Derrick Riches, Expert to Barbecues and Grillings. 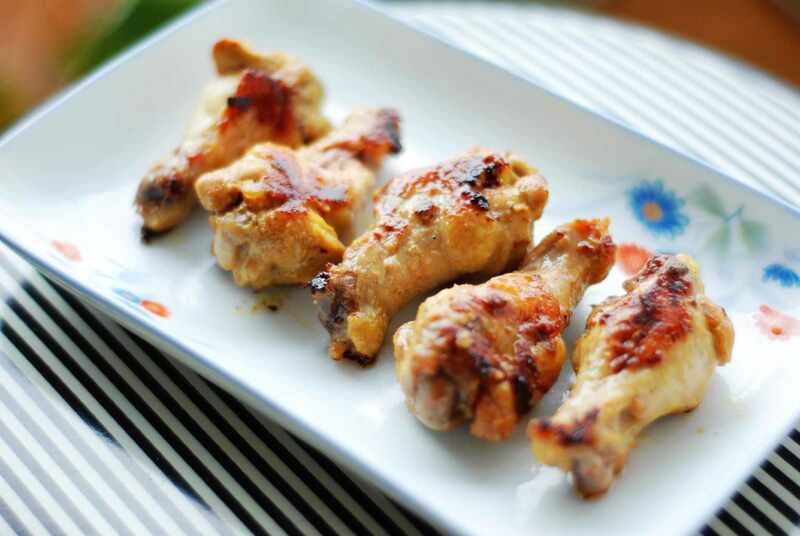 Oriental 5 spice powder, garlic, ginger, and soy sauce (be sure it's gluten-free) layer wonderful Asian flavor to this unusual wing recipe! A sweet pineapple marinade with balsamic vinegar, habanero chili, and garlic add zing to this grilled wing recipe from Derrick Riches, Expert to Barbecues and Grilling. Simple and peppery, this recipe calls for just 6 ingredients including two kinds of pepper, olive oil, and lemon juice. Easy and hot, this is another wing winner from Derrick. Here's a crowd-pleasing wing recipe from Peggy Trowbridge Filippone, Expert to Home Cooking and it's easy. The wings are marinated overnight and baked for one hour before serving. Be sure to use gluten-free soy sauce in the marinade and teriyaki dipping sauce.